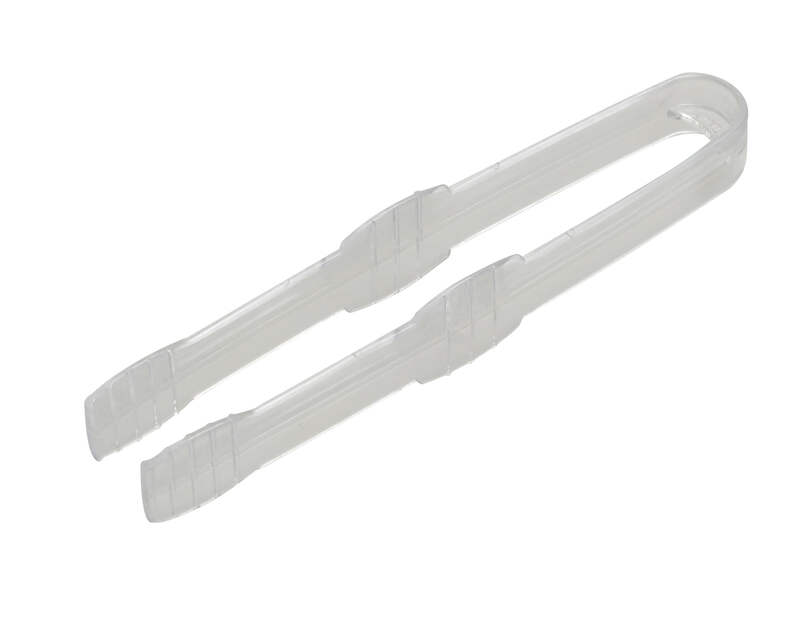 SKU: Fineline Tiny Temptations 6503-CL Tiny Tongs 4 1/2" Clear Plastic Tongs - 200/Case. Categories: FINELINE, MINI UTENSILS, SERVING UTENSILS. Bring some manners to your table with these. Have your guest self serve out of the bowl with these Fineline Tiny Temptations 6503-CL Tiny Tongs 4 1/2″ Clear Plastic Tongs while the grip on the handle ensures the tong won’t slip out of your hand. With it’s angled tip , it’s easy to spot the food which you target, whether it’s that mango out of the fruit salad or that onion from the herring…. With that trendy look, make sure that your table setting makes a statement!